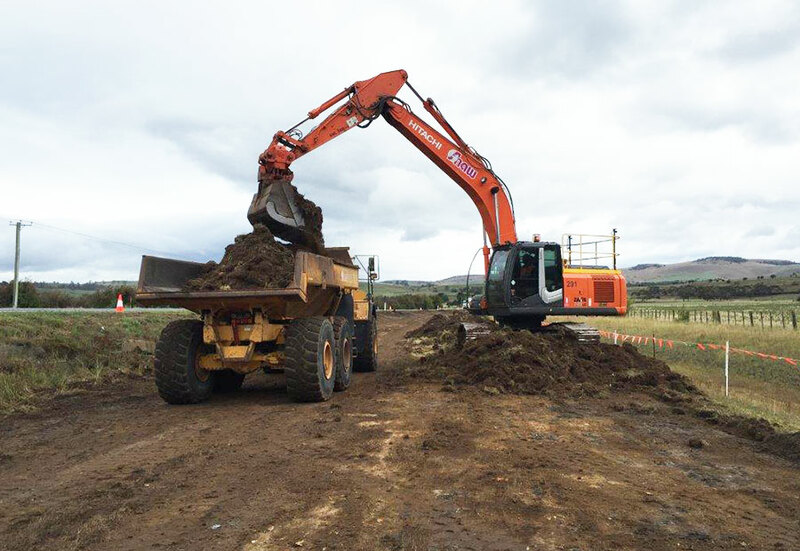 Shaw has been constructing roads in Tasmania for over 30 years and has worked on the National Highway, State owned roads and local council roads. 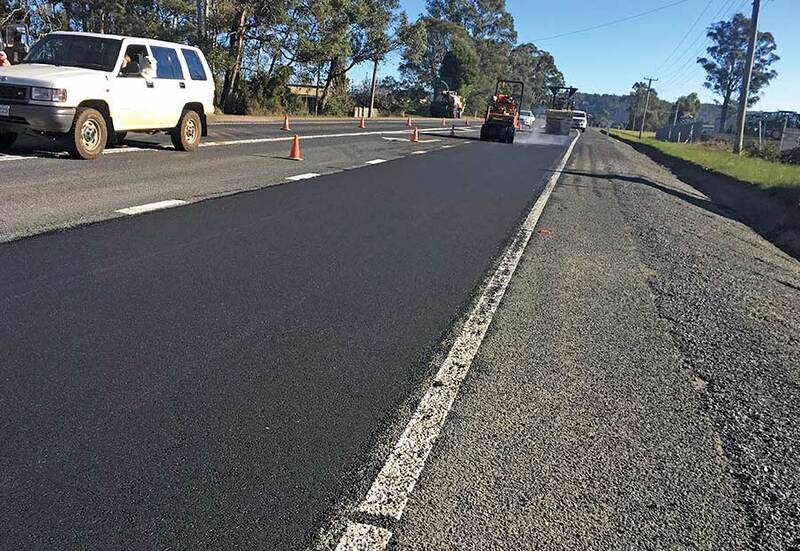 Shaw has the ability to design and construct roadwork and has completed works on all major highways from the Midlands to the Bass Highway. 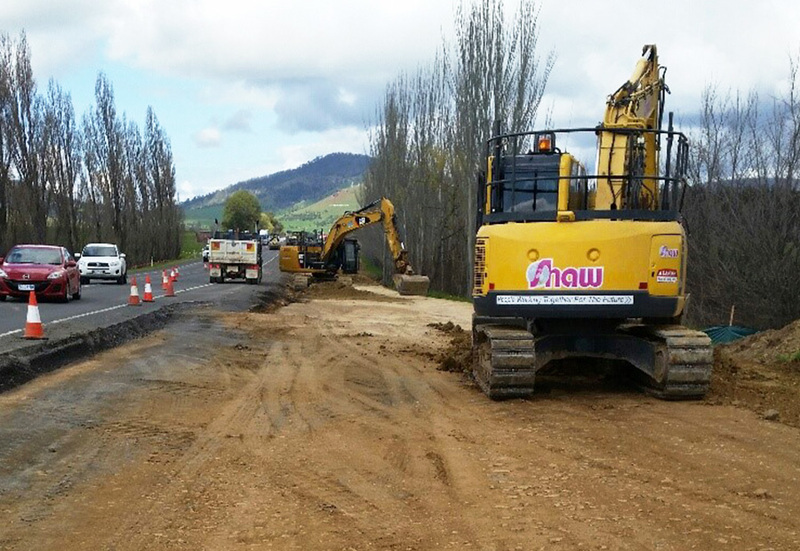 Shaw is registered to the Austroads National Prequalification Roads (R4) and Bridges (B2) allowing it to complete work in all Australian States. The East Tamar Highway is one of the most heavily travelled highways in Tasmania. 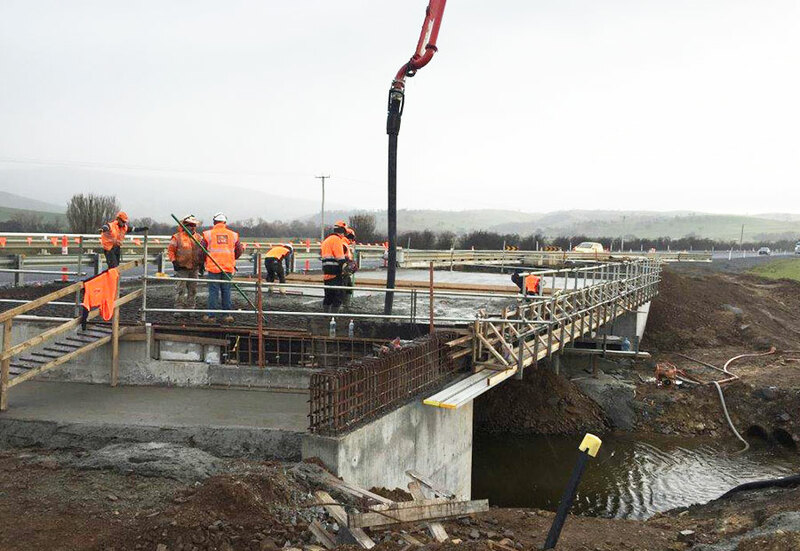 The construction of the Dilston Bypass on the East Tamar Highway has improved the safety, freight efficiency and provided an upgraded transport link with the Bell Bay Port. 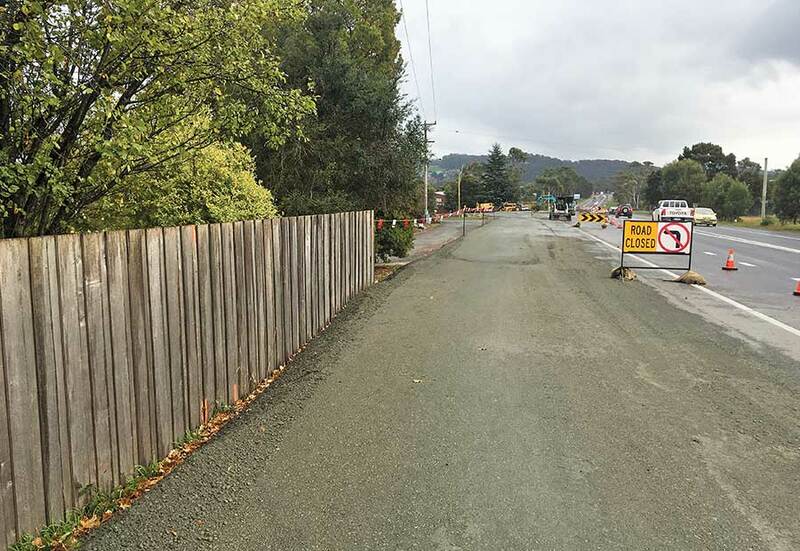 The project included two kilometres of dual carriageway and seven kilometres of three-lane highway with wire rope safety fencing separating opposing traffic streams, as well as replacement of the existing Barnards Creek Bridge with a new four-lane bridge. 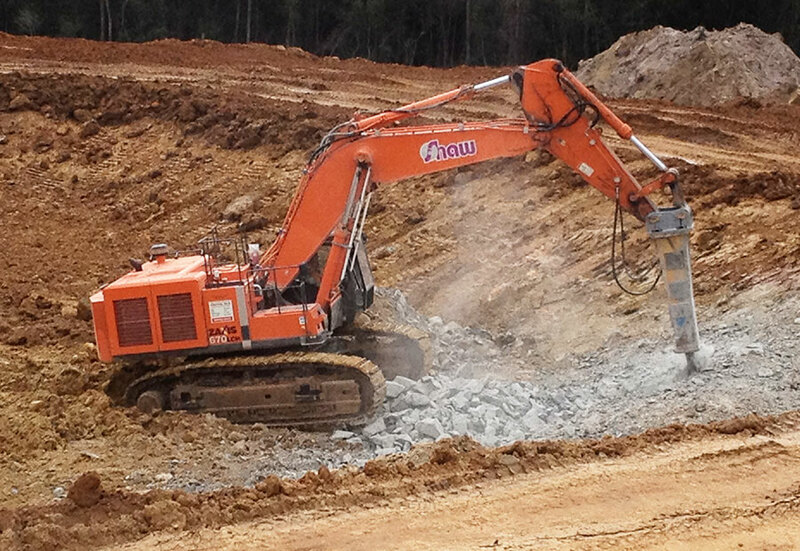 Works included excavation of over 700,000m³ including drill and blast. 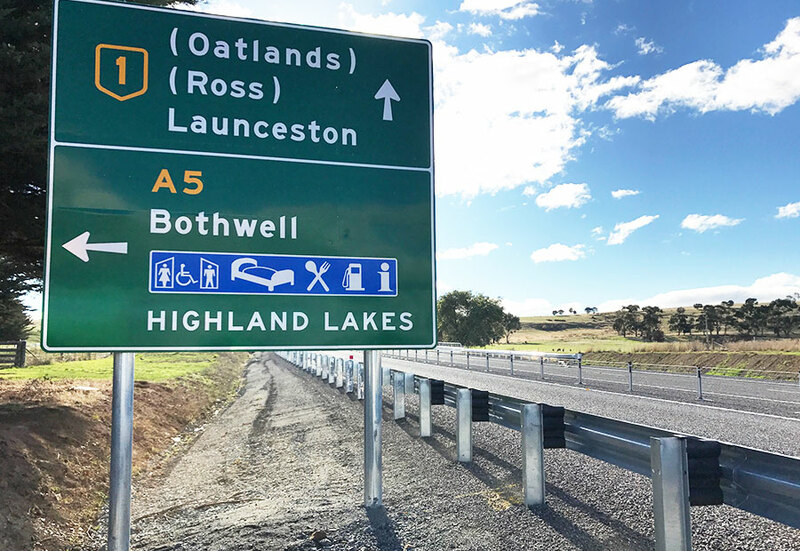 The Launceston City Council approved a revised development application which incorporated a southbound underpass ramp on the southern junction and fog detection speed reduction signs for the northern seagull junction. 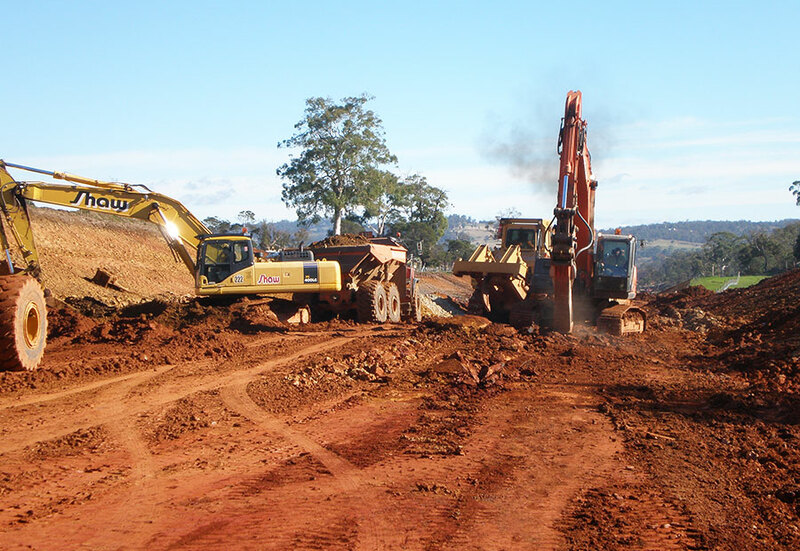 The Dilston Bypass was fully funded by the Australian Government. 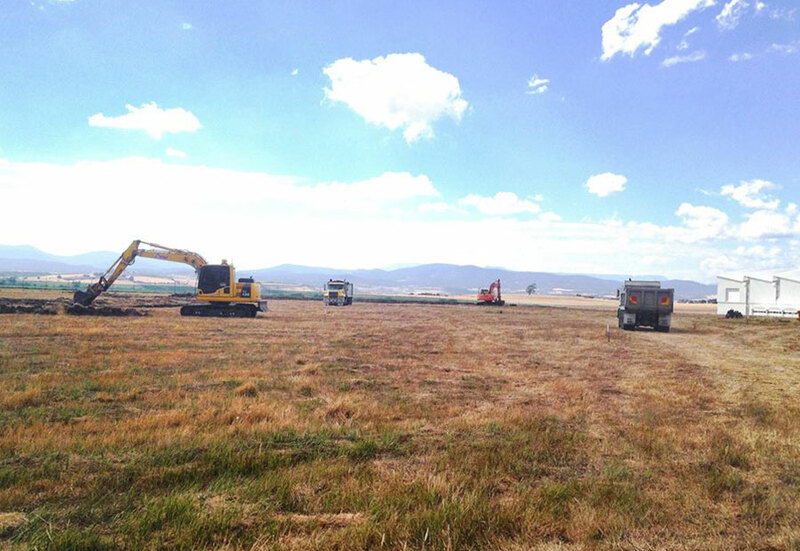 Measures to help reduce road kill were a feature of the project and there was extensive consultation with property owners to minimise the impact on farming operations during the construction period. 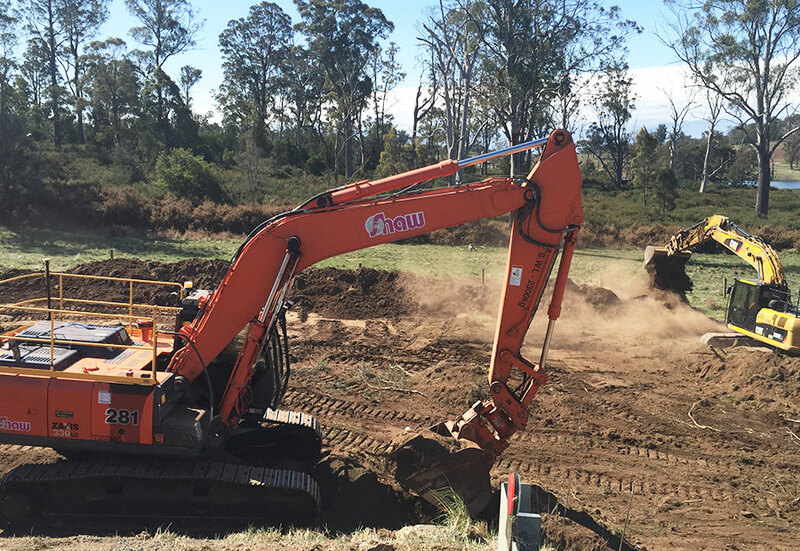 Elimination of flooding problems at Coulsons Creek. With more than 80 working on the project, weather conditions were a major challenge. 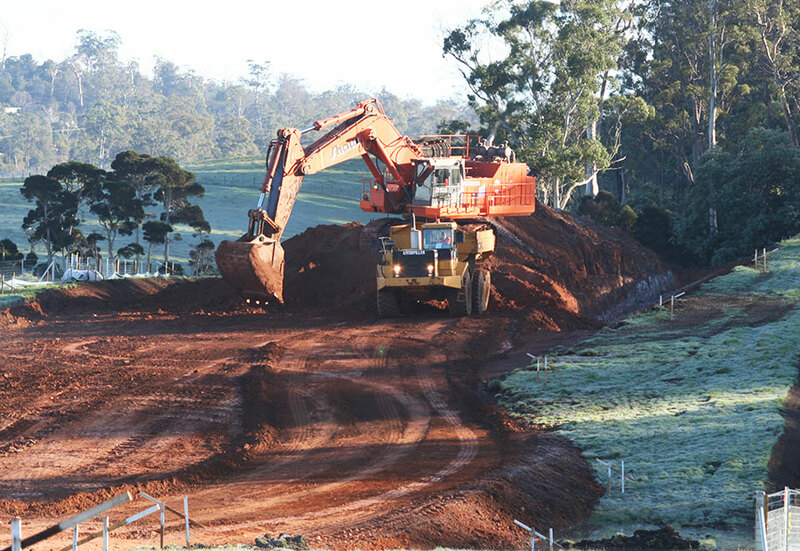 A late summer start meant completing earthworks and gravelling before winter rains set in was critical. 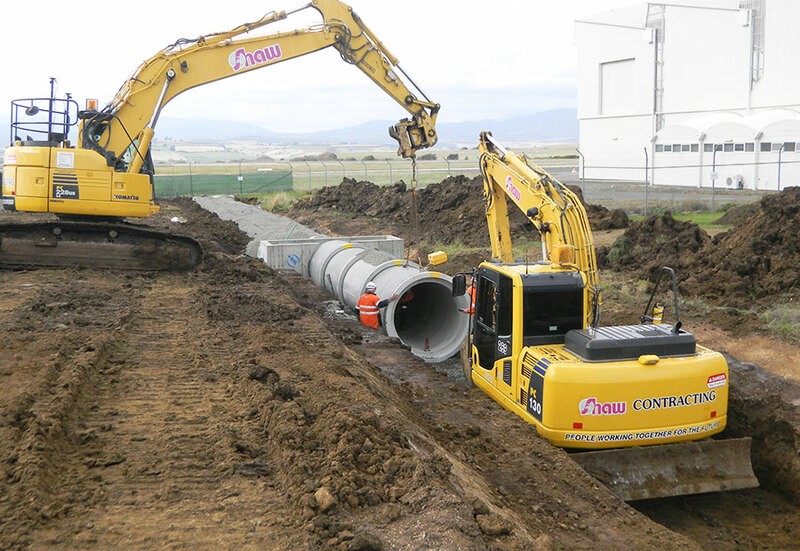 Also, bridge construction had to contend with the replacement of a major water main before bridge construction commenced. 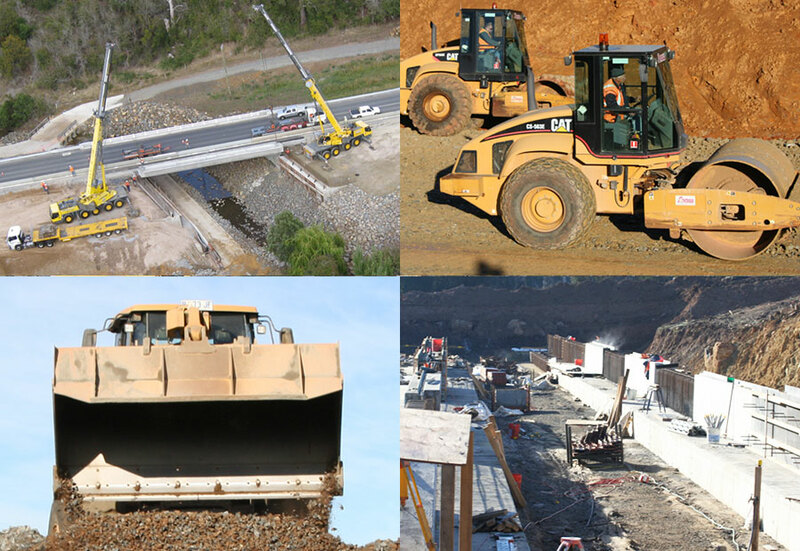 The project has increased safety of the East Tamar Highway, improved travel times and transport efficiency. Works were completed as per the schedule and to the Client’s satisfaction. 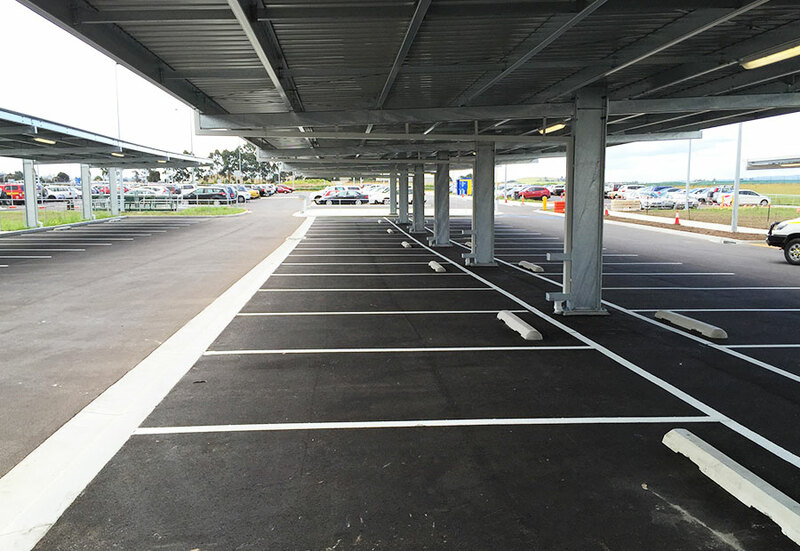 The local community was very pleased with the works completed. "This upgrade will improve safety and freight efficiency." 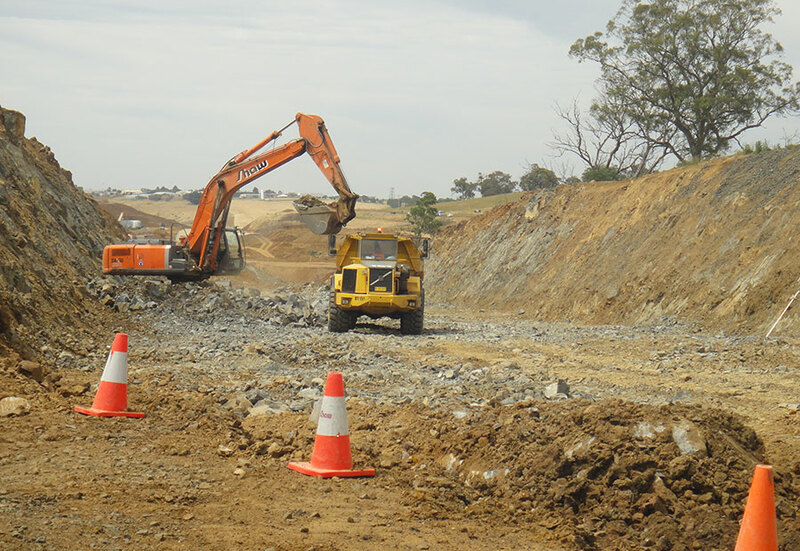 This section of highway improvements was, as the name implies, a 4.3km section of highway that starts at the Melton Mowbray Intersection and heads south towards Kempton. 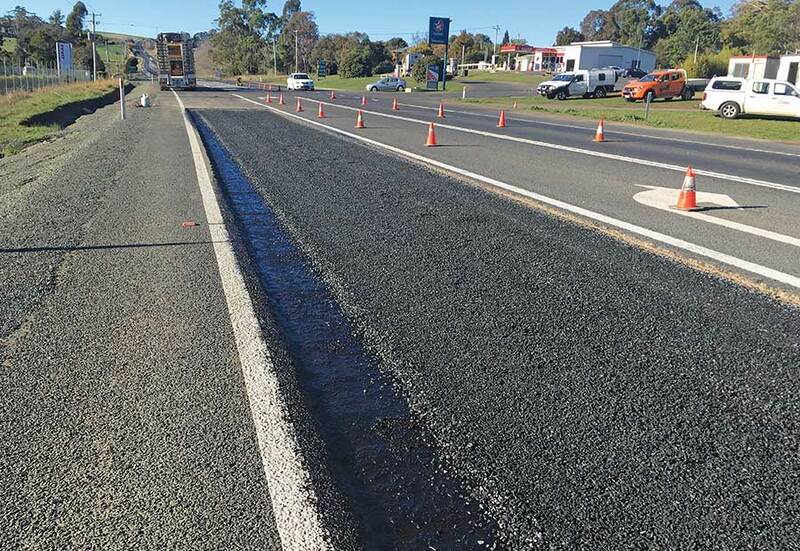 To achieve the requirements of a minimum 3 Star AusRAP rating, the core ethos of the project was to reconstruct this section of the Midland highway to become a “2+1” lane arrangement with a median flexible safety barrier to provide separation between opposing lanes of traffic. Function change of Lake Highway intersection and installation of designated U-turn bays. Achieve the minimum 3-Star rating under the AusRAP system required of the federal hgihway network as it is upgraded. 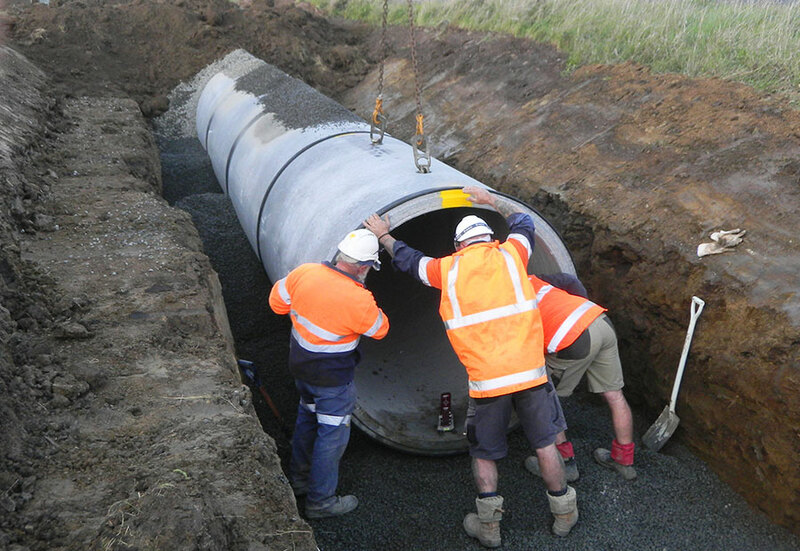 This project was Construct only, however due to the pressing nature of project delivery to meet tight timeframe requirements, Shaw were instrumental in providing solutions to design issues throughout the project, which was achieved by Shaw collaboratively working with the Principle to achieve the best project outcomes. Some of these keys issues included ongoing subgrade issues, inherent drainage issues that were not scoped within the design, and landowner negotiations. 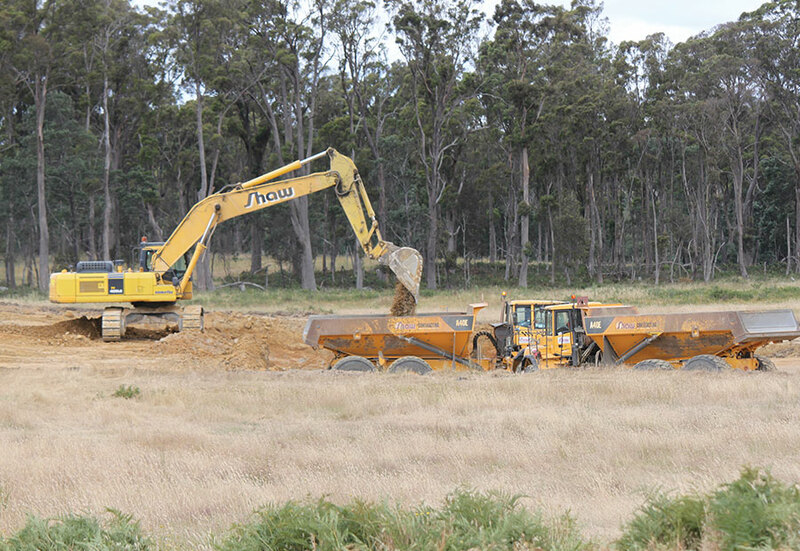 Shaw Contracting worked with local landowners to utilise an existing quarry lease within 5km of the Site. The quarry had not been commercially operated for approximately 5 years. 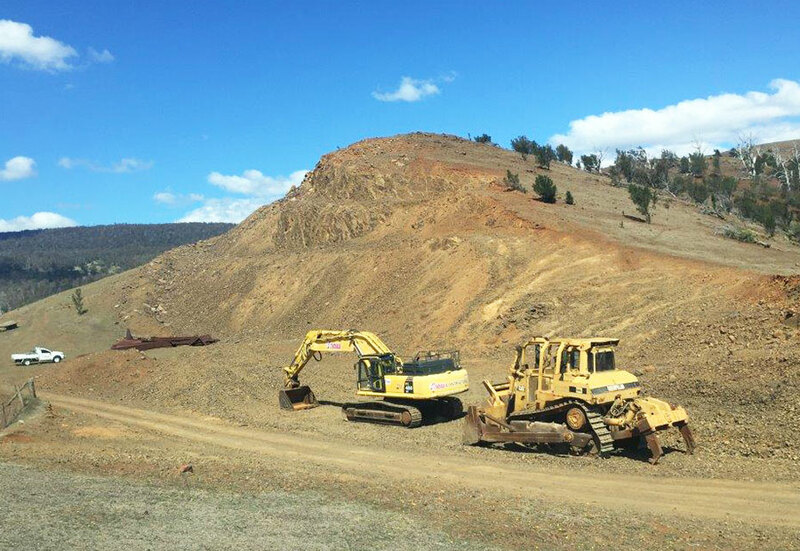 TO reduce the carbon footprint of long cartage for materials, Shaw’s operated the quarry and undertook all testing requirements of DSG to provide suitably compliant sub-base 2 and select fill materials. 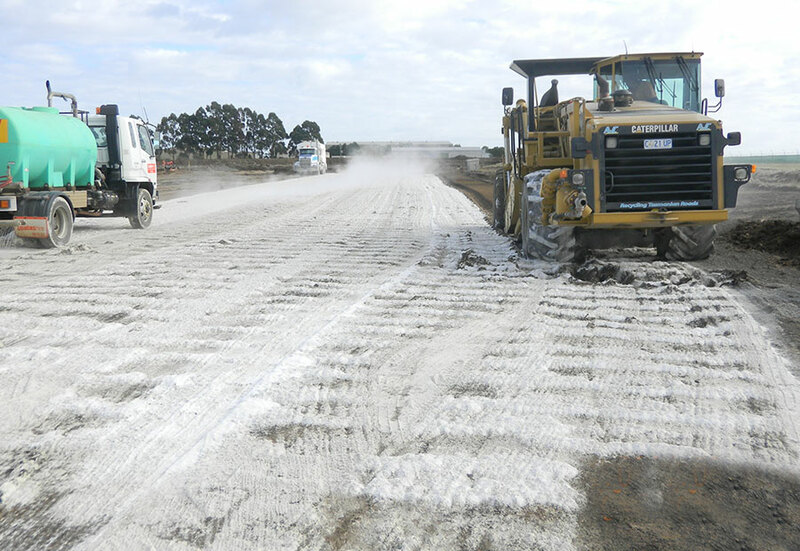 This material had significant environmental benefits by reducing cartage of materials from Leslie Vale quarry, but also reduced the congestion on the highway as 3x other DSG projects were between the project and the quarry. Shaw had to replace an existing B2 bridge structure under traffic. The bridge specifically was Quoin Rivulet Bridge, a twin span bridge with a pre-stressed plank superstructure. Due to the limitations of the area, it was not feasible to build a side-track/ diversion. 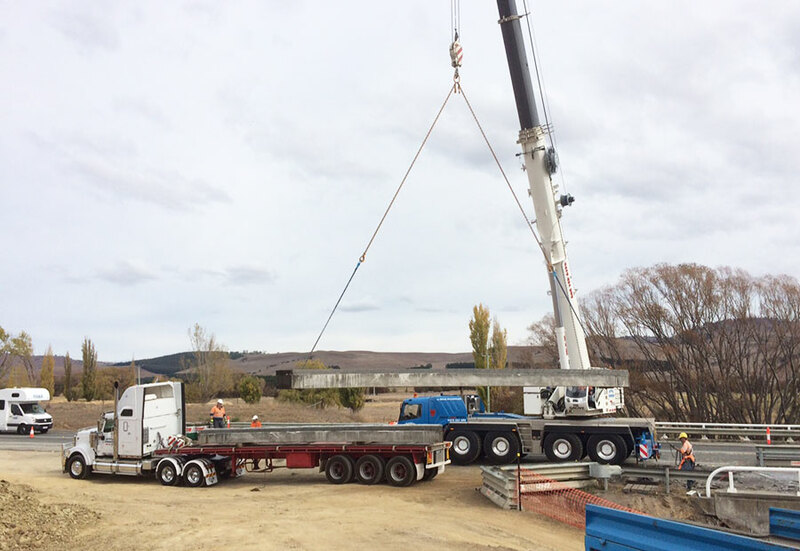 As such, 1 side of the bridge was strengthened before a 3-stage replacement process allowed Shaw to the existing superstructure and reinforce/ widen the substructure, all whilst maintaining the traffic flow of the Midland Highway. This works was further challenging as all of this had to be undertaken over winter to meet programme requirements. 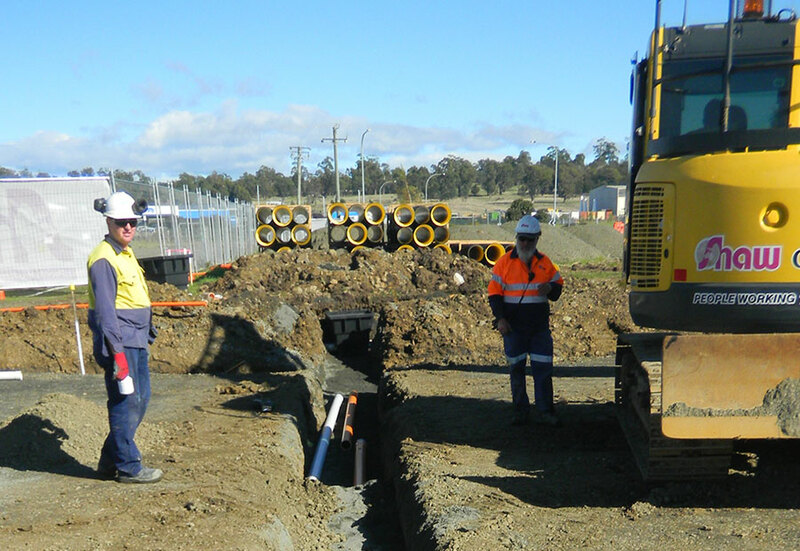 Dewatering, temporary earth training walls and pipes were used to manage the water flow through the Site. 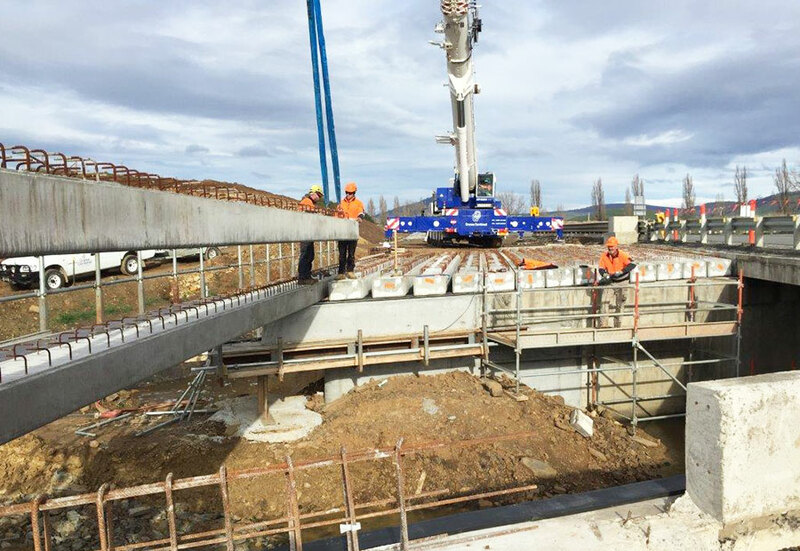 To deliver this project, Shaw partnered with VEC Civil Engineering, who provided the Bridge Supervisor and carpenters, whilst Shaw fulfilled the Project Management and civil works of the bridge. 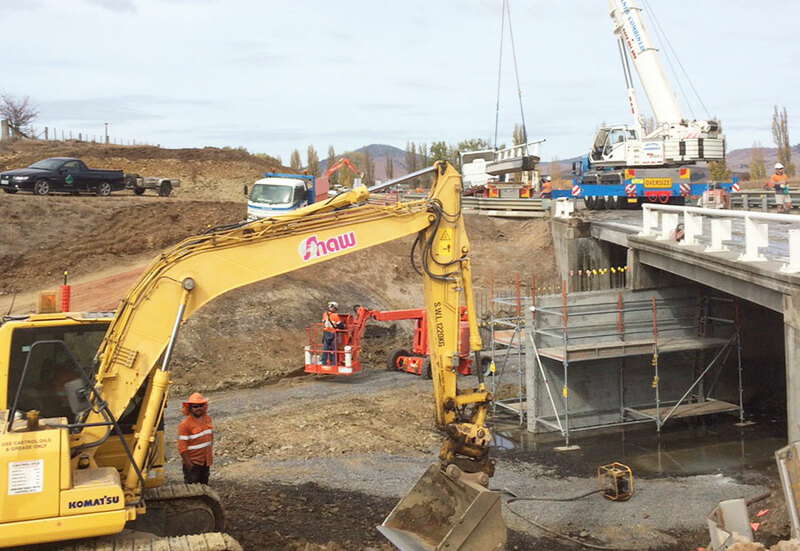 In order to preserve the existing bridge substructure, Shaw Contracting had to demolish the existing superstructure in a controlled fashion. This was also undertaken to prevent concrete entering the rivulet. Typically, machinery such as a pulveriser or rock breaker could not be used. Instead coring, saw cutting and developing the deck back to plank widths and removal via crane were all undertaken to allow controlled removal without damage to the substructure being reused. 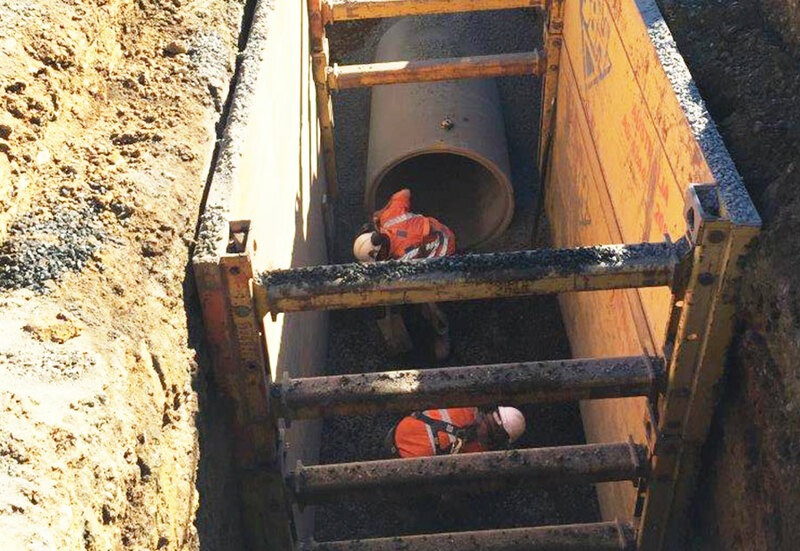 Furthermore; Shaw undertook pavement reconstruction adjacent to historically sensitive structures of Melton Mowbray, and implementing low vibration roller practices. Shaw completed all of the works with zero impact on the surrounding structures. 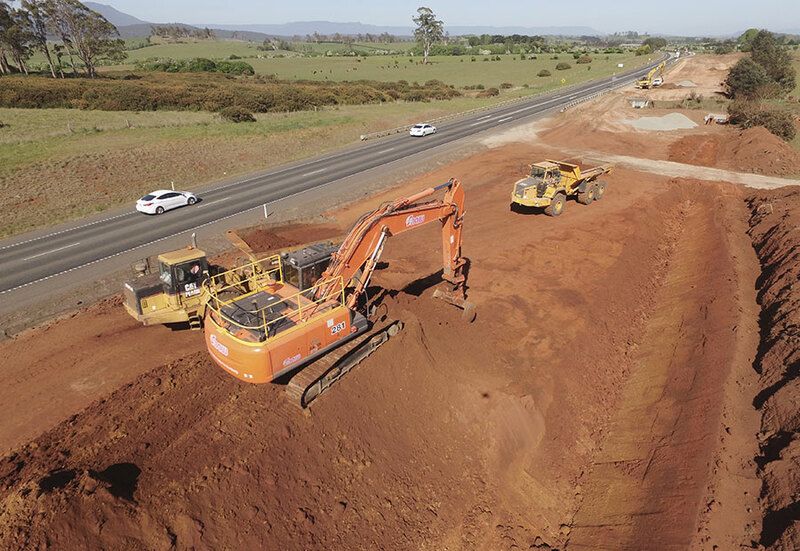 Shaw delivered the Kempton Stage 1 Midland Highway project to a high standard of quality within the Contract time frame, being the first major Midland Highway upgrade of the 2016/2017 financial year to be completed for that construction season. This was delivered effectively with no major safety or environmental incidents. 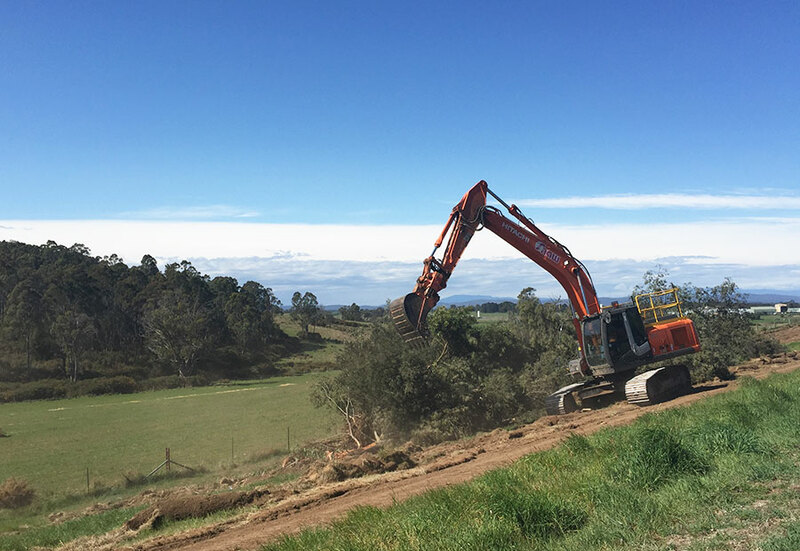 Shaw are very appreciative to again work with the Department of State Growth and all stakeholders to continue being a major Contractor in delivering the 10-year plan to improve the Midlands Highway and Tasmania’s infrastructure as a whole. 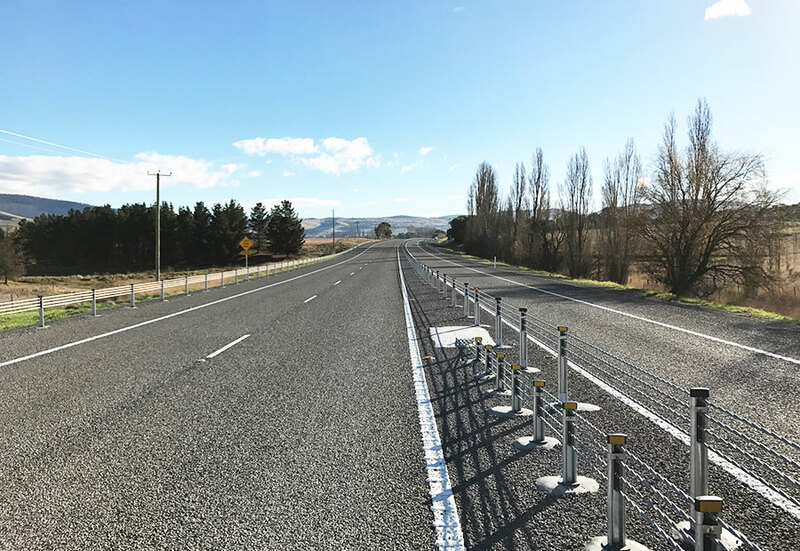 The project involved the conversion of 3.2km of Bass Highway single carriageway to dual carriageway, and included the installation of flexible safety barriers along this section of the Bass Highway. Conversion to a dual carriageway was required to reduce driver confusion occurring due to changes between single and dual carriageways on a short section of highway. 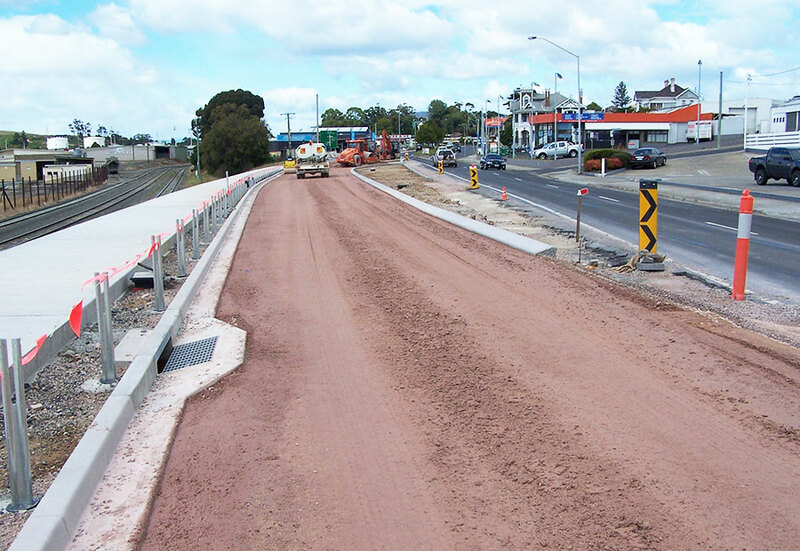 Undertaking the Works in multiple traffic zones without affecting traffic flows or inconveniencing road users. Shaw also undertook additional major works requested by the client without affecting the project completion date; this required the acceleration of all works on site to meet our client’s needs. Shaw completed the works on time, on budget and most importantly; without incident. 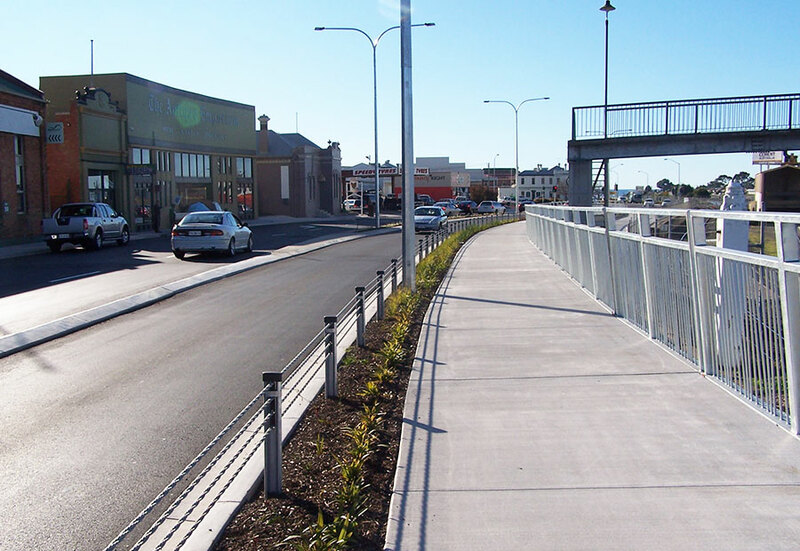 Devonport City Council awarded the Formby Road Redevelopment project to Shaw Contracting to reconstruct the main arterial road into Devonport whilst extending the new city cycleway along the tight corridor between Formby Road and the rail line. 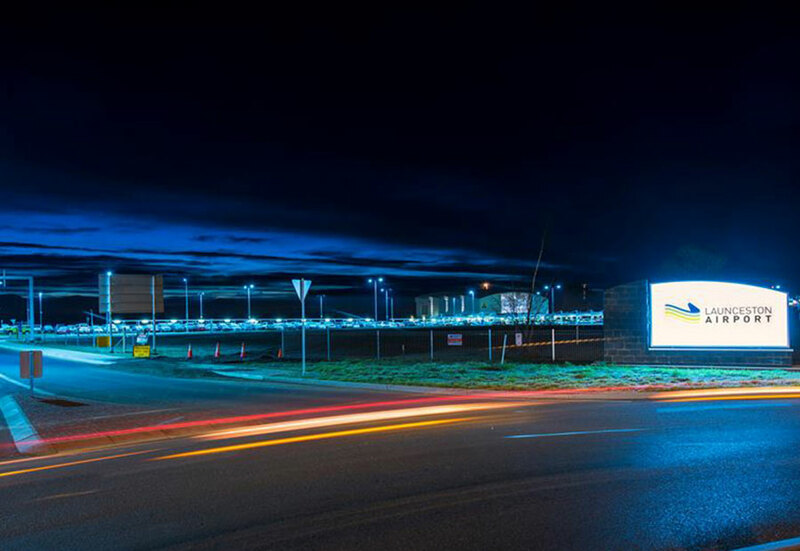 The project was successfully completed under budget, and with positive feedback from all businesses and road users including letters of recommendation and public praise through local media outlets. 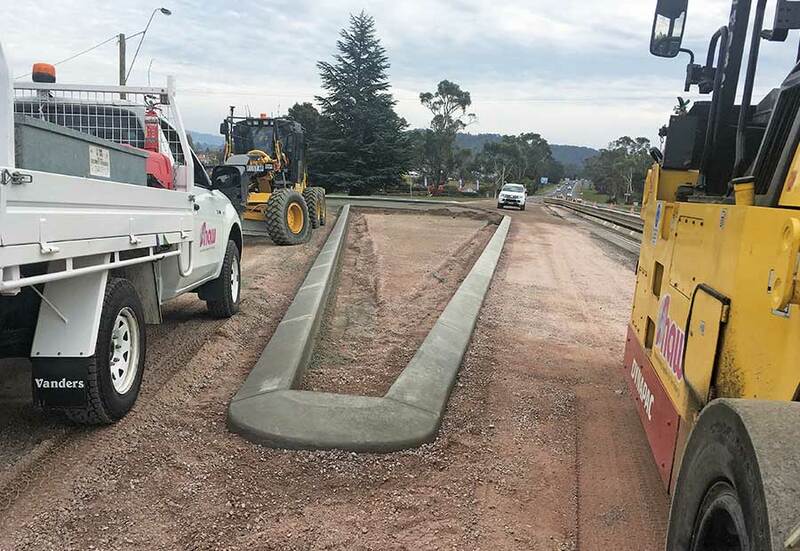 Shaw Contracting provided alternative design solutions to use Mass Bloc retaining walls between the rail line and Formby Road, saving both time and money for the client. 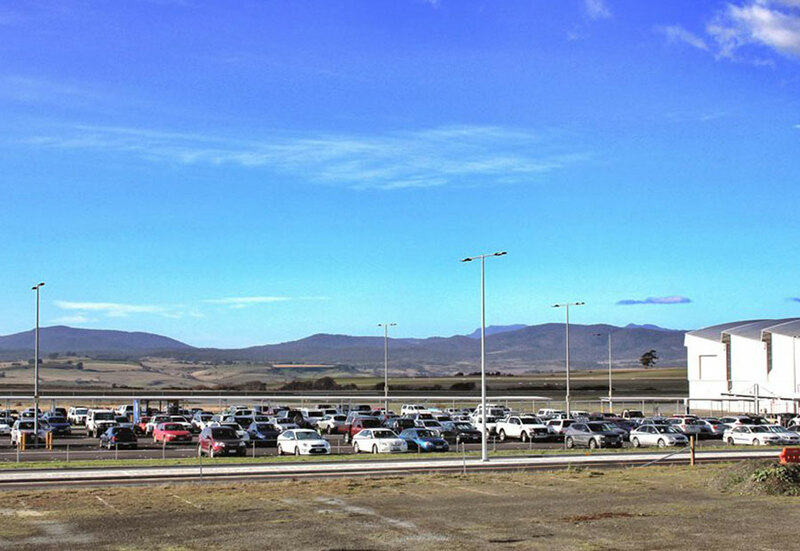 Traffic movements through the site were smooth and flowing with very little delay, if any, incurred by the travelling public. 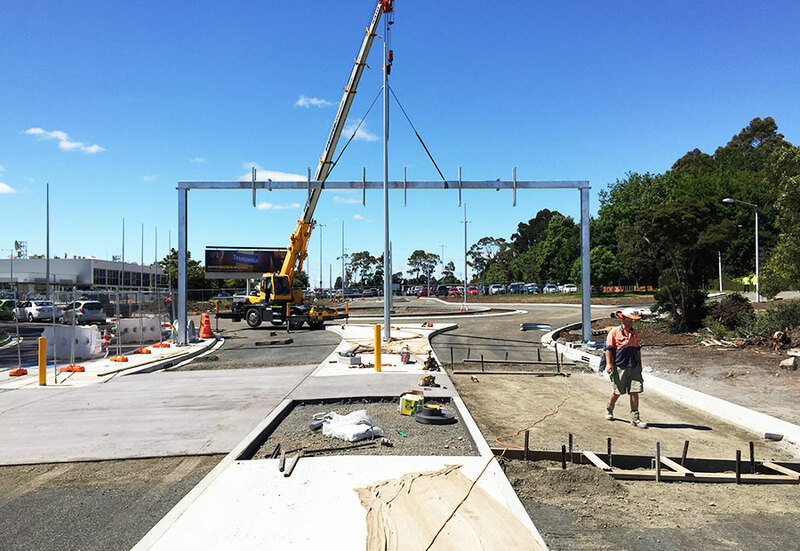 The Moriatry Road roundabout works included the installation of two new pedestrian refuges, allowing safe access across the Bass Highway to the Mersey Community Hospital. The installation of raised tactile indicators added to the improved safety of the crossings. The Wattle Hill Service Station and York Street Intersections included the addition of pavement widenings to allow a safer access via new turning lanes. The Gilbert Street intersection redesign included; raising the height of the intersection to allow improved visibility for motorists, the addition of a slip lane from the Bass Highway into Gilbert Street and the installation of a new paling fence to block headlights from Bass Highway shining down Gilbert Street. 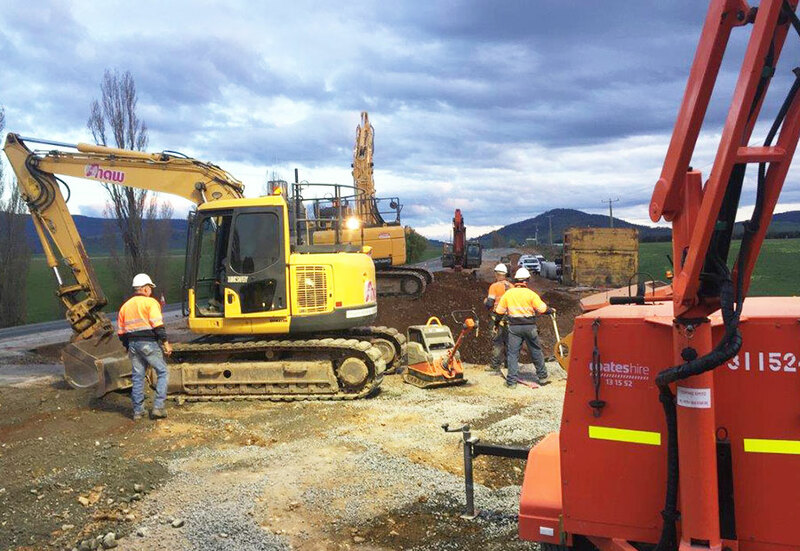 Shaw Contracting successfully delivered the Bass Highway at Latrobe Safety works with a large focus on safety and environmental outcomes. 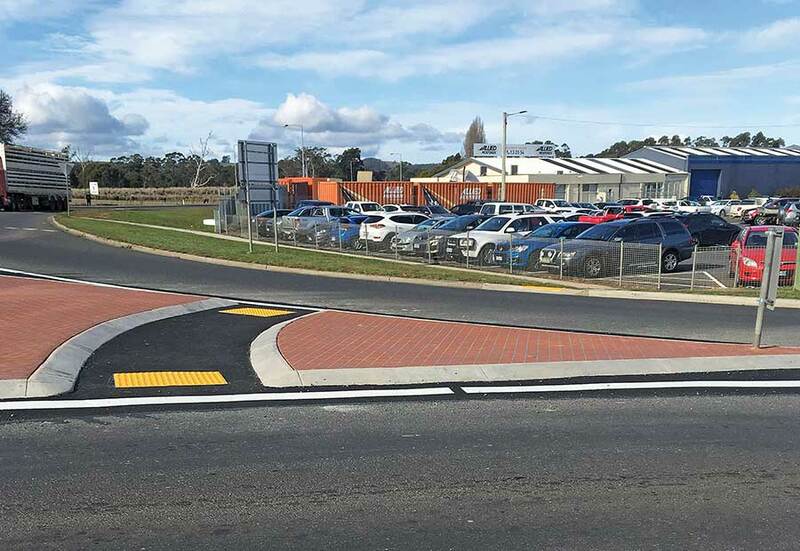 The completion of the works undertaken have improved the flow of traffic entering Latrobe and improved safety within the community. The project has been completed five months ahead of schedule. Coordinating nominated APAL subcontractors for gating hardware, advertising installations and security systems. Some of these sources were interstate. 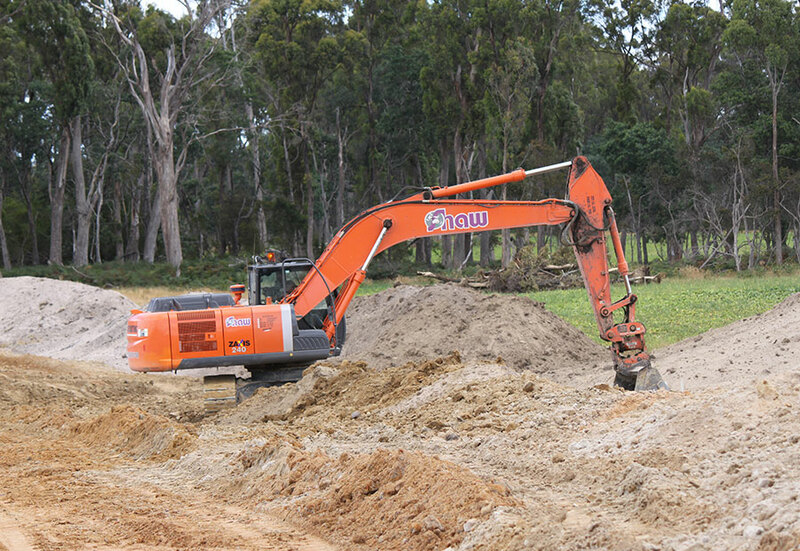 Undertaking works in a heritage listed flora avenue, and working in areas with endangered fauna (green and gold frog). Preservation of the airports communications systems which were within the footprint and required live relocation of some cables. 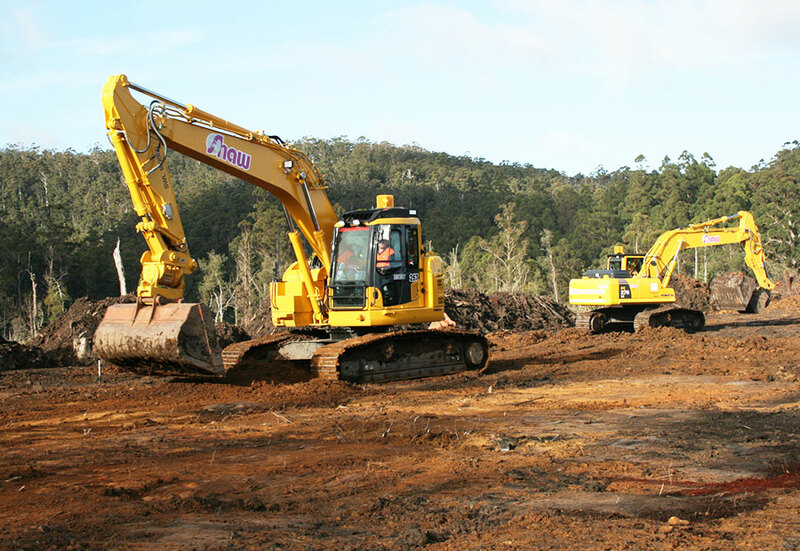 This was the first major project competitively won and delivered under the new ownership of Shaw Contracting Australia. 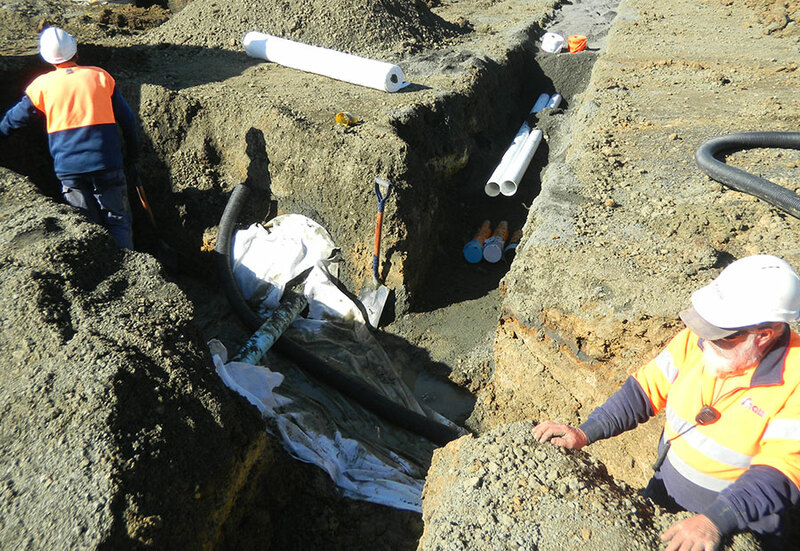 Due to its complex nature and spanning a period of over 12 months, in excess of 70% of Shaw employees spent time on this site making it a real ‘team effort’. The project successfully achieved all of APAL requirements and delivered a significant key piece of state infrastructure. Shaw was also able to deliver this project incident and injury free.